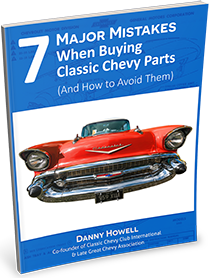 This 1955-1956-1957 Chevrolet Hardtop-Convertible-Nomad left/ driver's side vent window assembly stainless is a great reproduction of the original. Are your vent window assemblies leaking or the glass bubbling along the edges? For an additional fee our trained professionals can rebuild your entire assembly. We strip the old assemblies and rebuild them using all new rubbers, channels, and glass with chrome channel. They look great and are ready for installation. Adding new stainless to this, is like eating at Mel's Diner and getting the cherry on top of your root beer float.